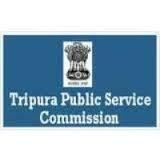 Tripura Public Service Commission(TPSC) has notify job recruitment of 84 Dental Surgeon and Agriculture Officer. Deserving and interested candidates can apply before Deadline i.e.30th july 2016. Dental Surgeon:34 posts,Remuneration:Rs.15600-39100,Grade Pay Rs.5400. Agriculture Officer:50 Posts,Remuneration:Rs.10230-34800,Grade Pay Rs.4800.